Are you planning a big move soon? I you are planning on moving to a location in South Florida, maybe you should try moving to a storage unit before moving to your new house? If you are in the process of buying a house or apartment, it’s often best to keep a storage unit around for thirty to sixty days as a holding pattern in case something need to be fixed in the new home. 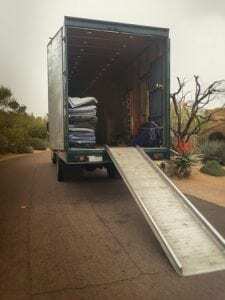 When this happens, it’s important to coordinate with your moving company and the storage company to ensure you efficiently transfer your belongings. You need to call your moving company and storage unit to create a clear date and time in which your belongings will get there. For the Movers – Make sure they know precisely how far they are going to ensure you don’t receive any hidden fees. For the Storage Company – Ensure the measurements are approximate and that they know how many people will be entering the complex at a time. On the day of the actual move, you should be present to help coordinate the move. Help the movers in organizing the section and clearing it as much as possible as well as being present for the on-site security. Xtra Storage Companies has been providing the best value in air-conditioned self-storage spaces for over 30 years. We pride ourselves on every day low prices, no extra fees, and are friendly with all our clients! We’re a self-storage company but look at ourselves as an extension of your home. Come by for a cup of coffee and a tour — if you would like to learn more about our rates or the sizes of our units, please give us a call today at (305) 677-1483.